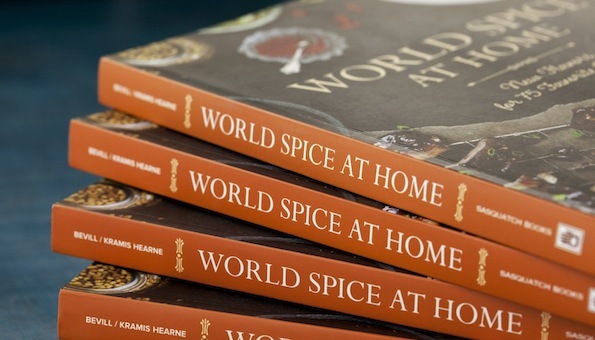 Enjoy this sneak peek from the upcoming release of World Spice at Home, by World Spice Merchant Amanda Bevill and cookbook author Julie Kramis Hearne. Available September 30th 2014! Necessity is the mother of invention, and this beautiful pairing is a classic example. When we found ourselves out of our favorite steak rub one night, we had baharat on hand and whipped this up. Now there is a new favorite in the house. Baharat adds aromatic elements of cinnamon and allspice to a simple meat rub, and it transforms the rib-eye with unexpected flavors. The earthiness of the mushrooms is a nice complement to the spices and steak. 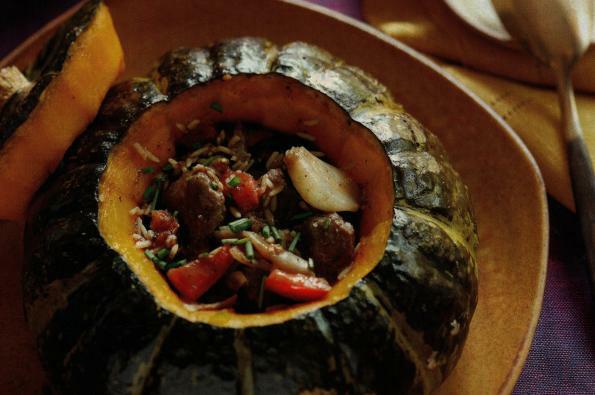 We like to serve this with garlic mashed potatoes. Preheat the ovento 375 degrees. In a 10- to 12-inch cast-iron skillet over medium heat, add the mushrooms and cook until any moisture from the mushrooms releases and evaporates. Add 1 tablespoon each of the butter and olive oil, and the shallot and cook until the mushrooms start to crisp up and turn golden. Sprinkle with the thyme, ½ teaspoon of the salt, and ¼ teaspoon of the pepper. Transfer to a plate. In the same skillet, heat the remaining 1 tablespoon each butter and olive oil over medium-low heat. Add the onion and sauté for 30 minutes, stirring gently every 4 to 5 minutes. Turn the heat down to low if the onions are cooking too quickly. Once caramelized, sprinkle with the remaining salt and pepper. Return the mushrooms to the skillet, stir, and set aside. To make the rub, stir together the baharat, brown sugar, salt, and pepper in a small bowl. Generously rub the steaks on both sides. To prepare the steaks, in a 10- to 12-inch cast-iron skillet, heat the olive oil over medium-high heat. Add the steaks and cook for 3 minutes on each side, or until a nice golden crust forms. Transfer the steaks in the pan to the oven. Continue cooking for 6 minutes for medium-rare. Remove from the oven, loosely cover with foil, and allow the steaks to rest for at least 5 minutes. Reheat the skillet with the mushrooms for several minutes, or until nice and hot. 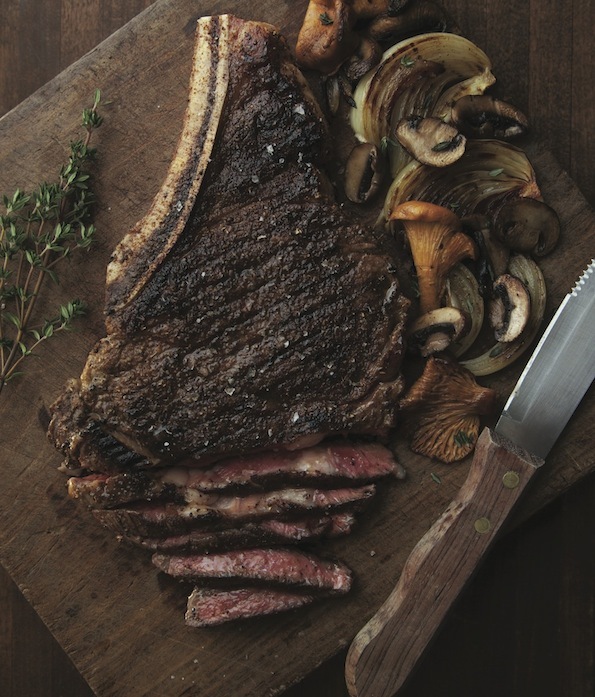 Slice the steaks into ½-inch-thick slices and serve half of a rib-eye to each guest with the mushroom mixture on the side. *(c)2014 By Amanda Bevill and Julie Kramis Hearne. All rights reserved. 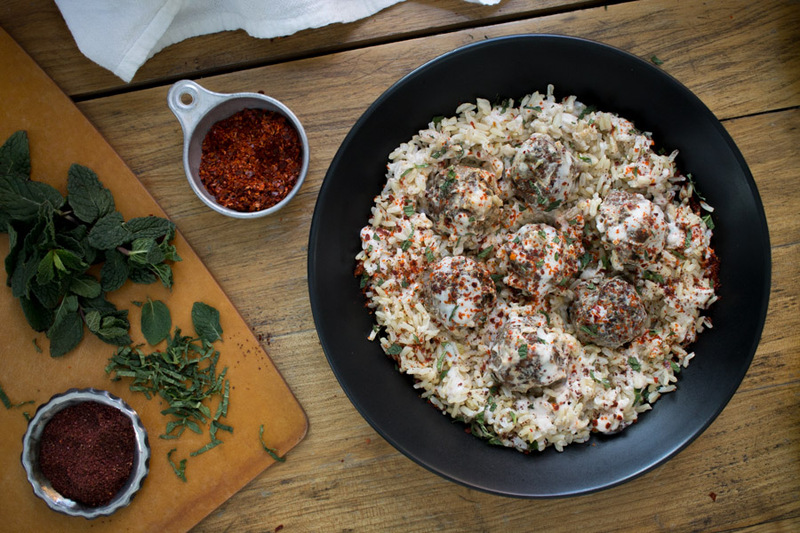 Excerpted from World Spice at Home: New Flavors for 75 Favorite Dishes by permission of Sasquatch Books. Why, thank you – we think so, too. We’re glad you enjoyed it as much as we did. I love this recipe. I used the rub on chicken and cooked it on the stove. Unfortunately, my house now smells like a like I’ve been cooking the dish for the past 24 hours. I cannot get the smell to go away although everything has been cleaned. Do you have any recommendations or how to get rid of the smell? Aside from opening windows for a time, you could always simmer a pot of water on the stove with lemon and fresh rosemary or with cinnamon to “overtake” the lingering aroma. You could also leave a box of baking soda open by the stove – it will absorb the aroma over time. Sometimes cooking smells linger in the fans over the stove, so the simmer water with things in it could help that, too. Thanks! Windows are open now. Will try the other suggestions. Your gift set is a great idea but two recipes I read call for 3 TABLESPOON of spice and set come with only two. Difficult to try or sample?